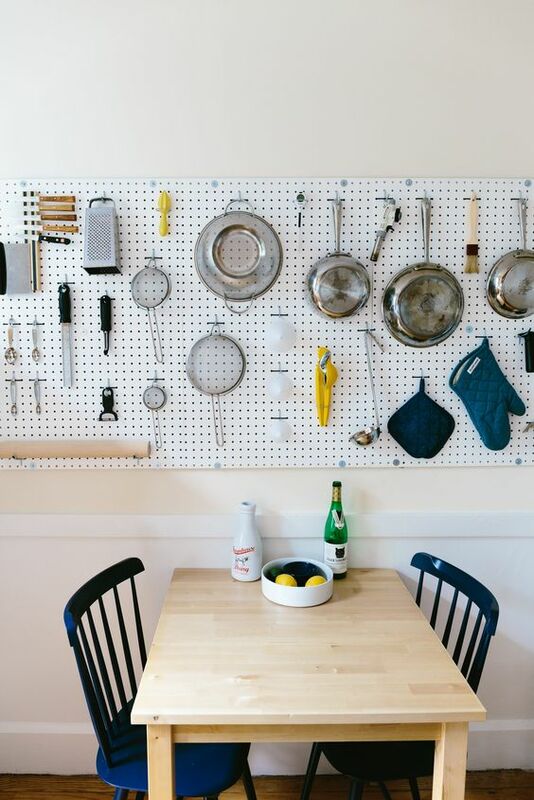 A pegboard is a perfect storage solution for any home, it takes only wall space and can accommodate a lot of objects and display them with style. 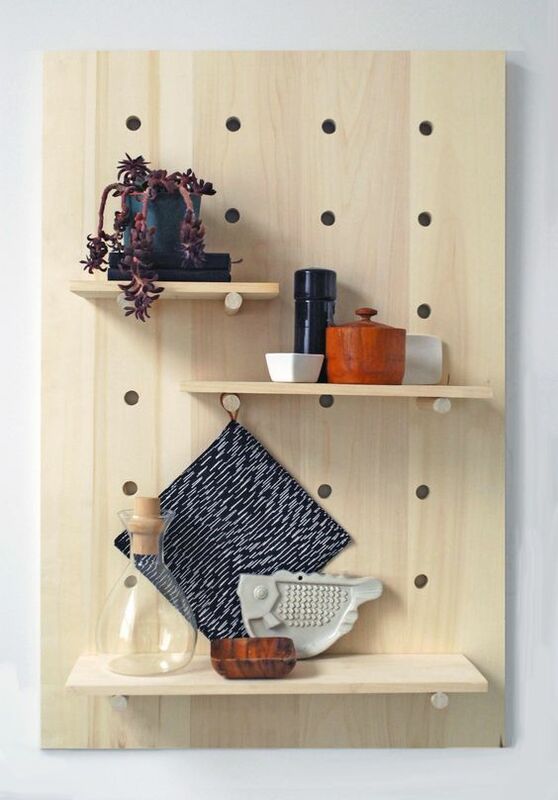 A large number of holes perforated gives unlimited possibilities for storage and accommodating. 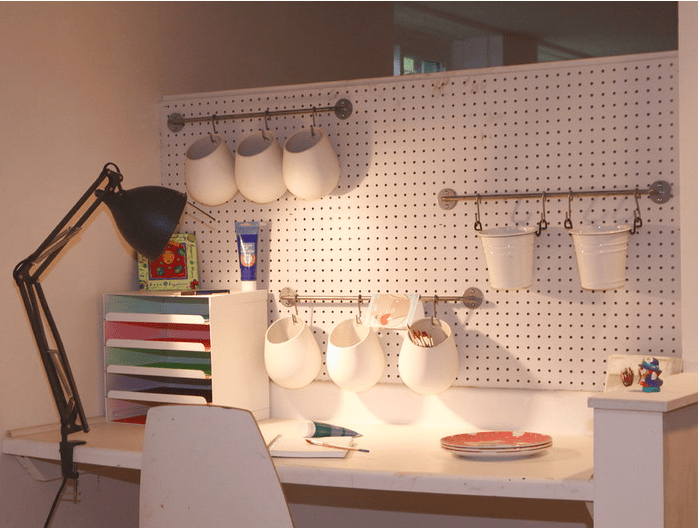 Open storage doesn’t make your space look bulky, so even if it’s small, you can still use a pegboard and place a lot of things and accessories there. 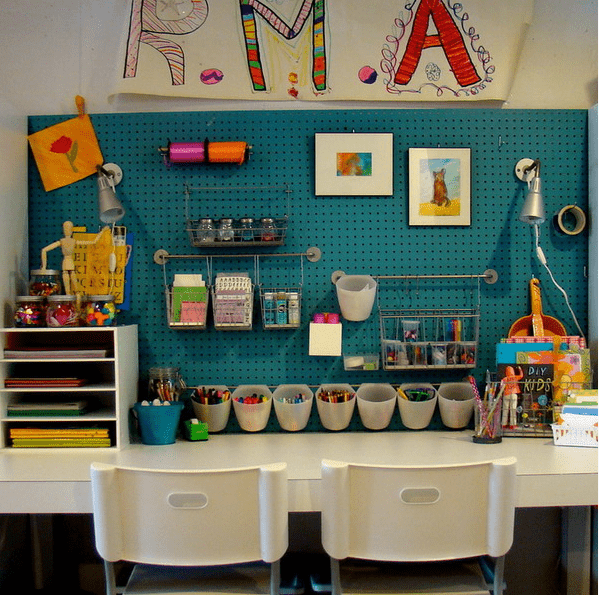 Pegboards today are used in many different spaces, from garages and craft rooms to home offices and kids’ rooms. 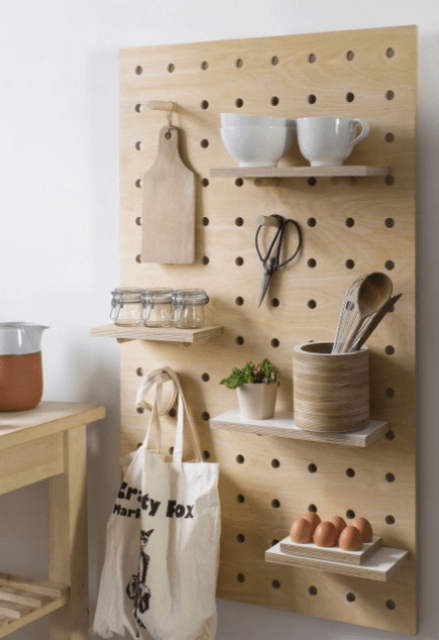 I’d like to inspire you with ideas to use pegboards in different spaces, let’s have a look where. 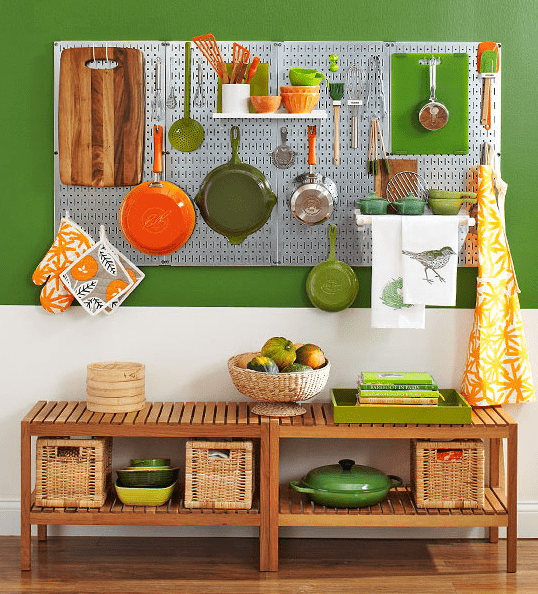 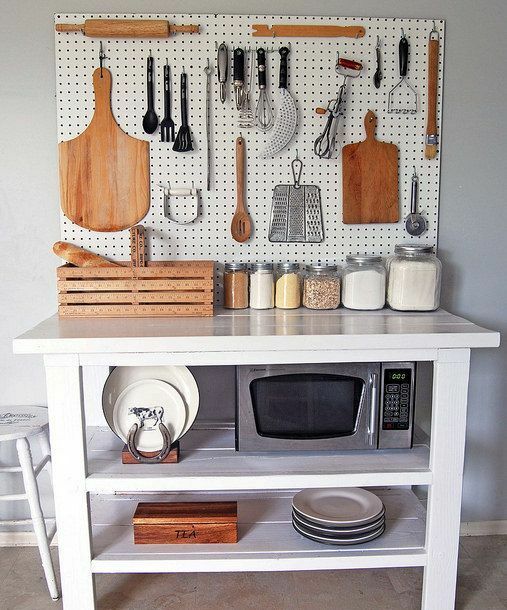 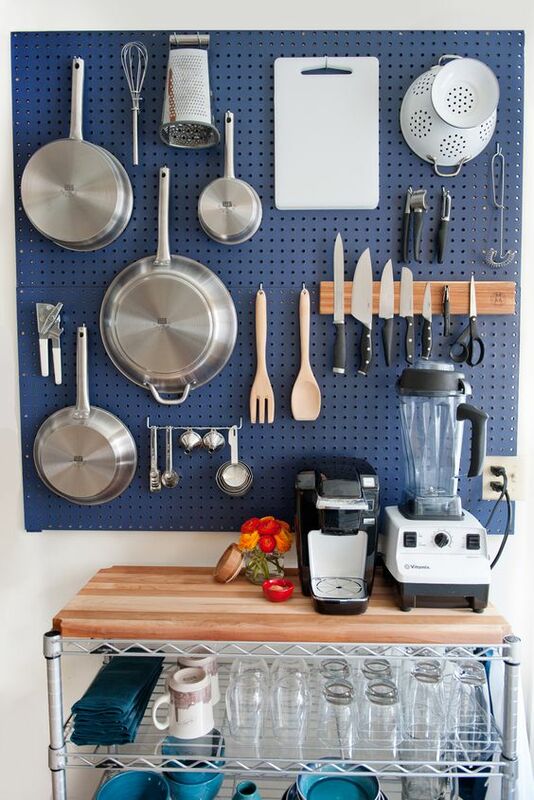 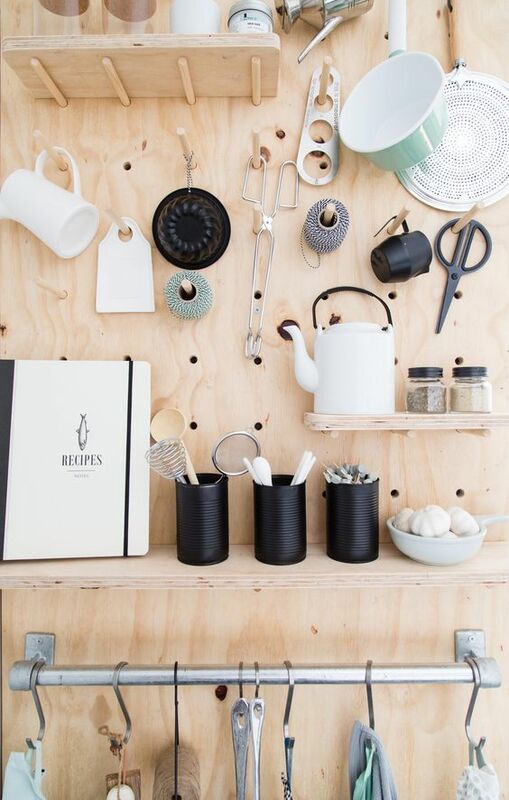 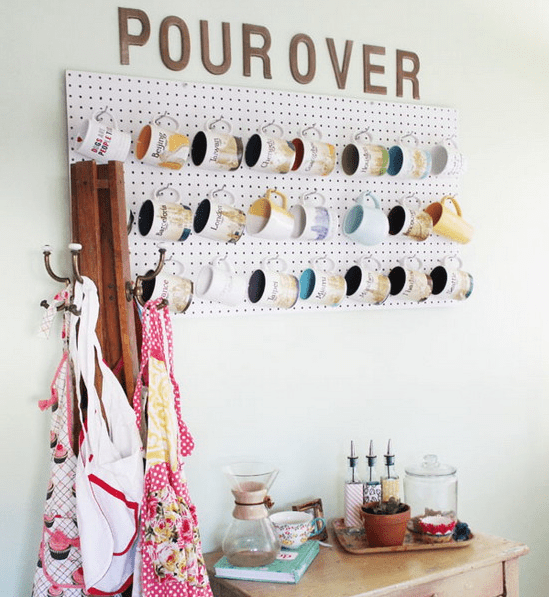 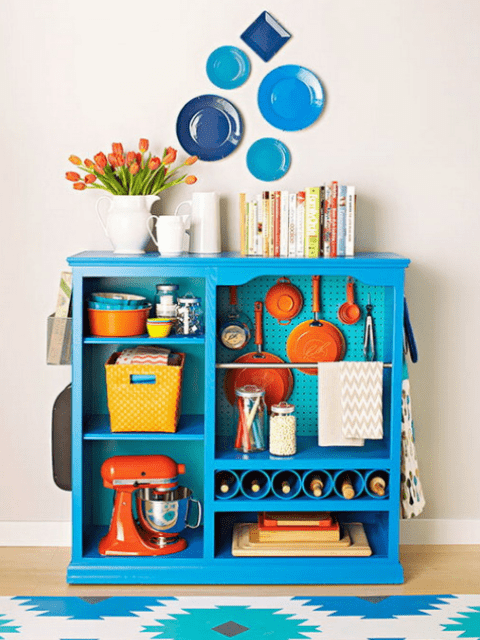 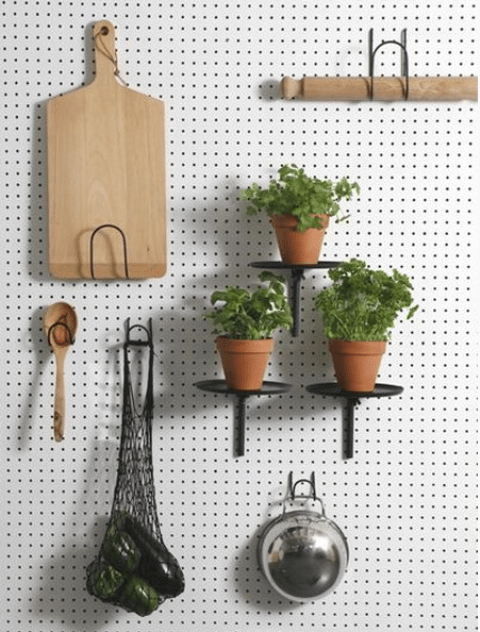 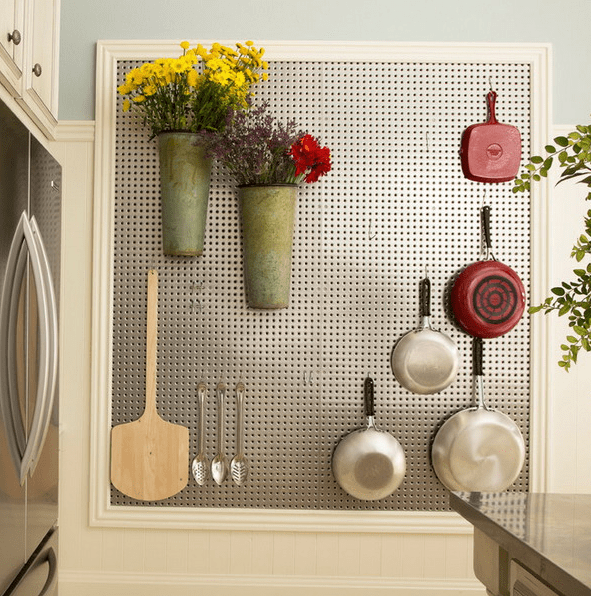 Pegboard is a comfortable way to store various stuff: pans, plates, tableware, utensils, pots and other things. 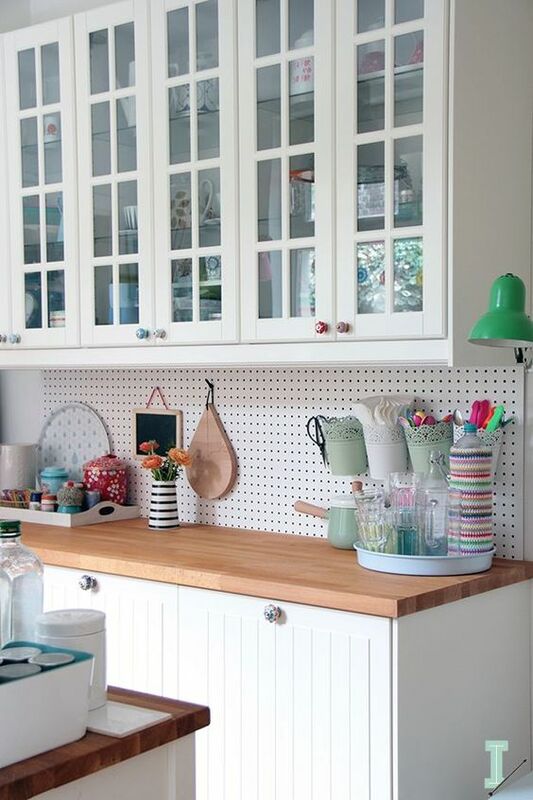 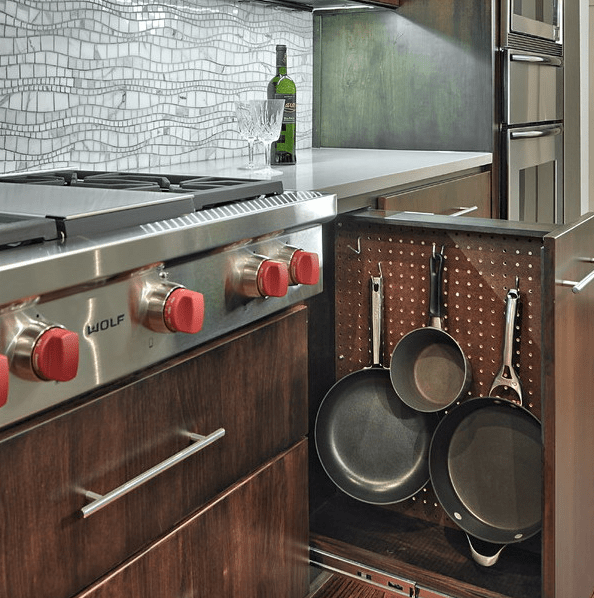 It’s great for any kitchen but especially for small spaces where lots of cabinets can look bulky and steal all the space. 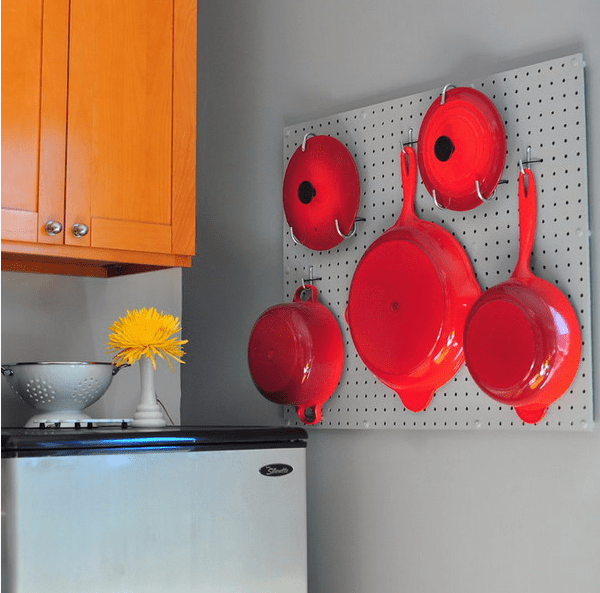 There are various types of pegboards, different colors and materials, so you will easily find a proper option. 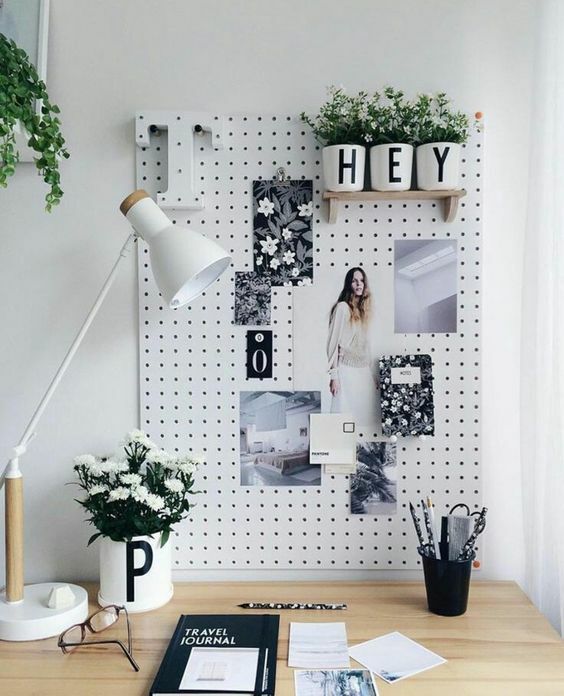 If your work is connected with drawings, sketches, small stuff and special tools, you just need a pegboard. 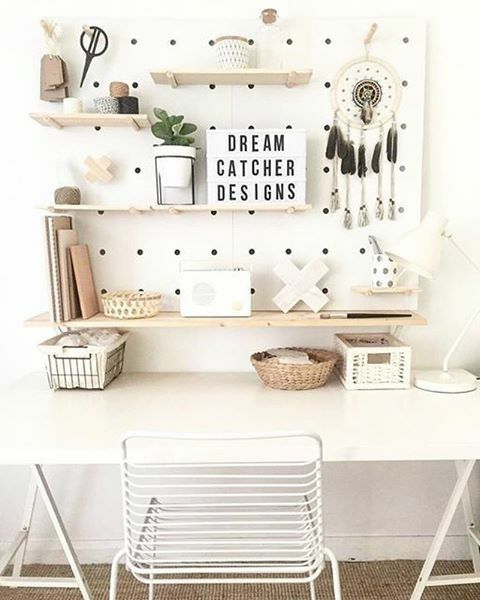 You can hang and display everything you need there, and even if your home office nook is relatively small, you’ll be able to accommodate everything. 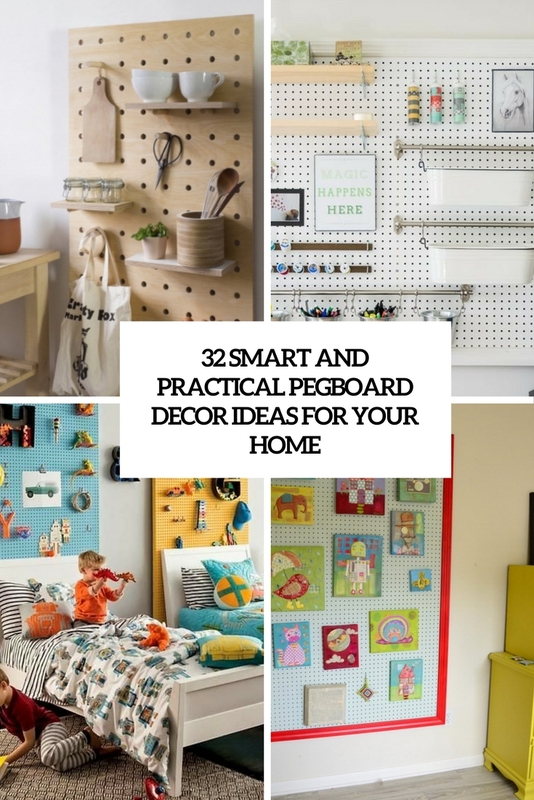 Attach various rails, hooks and shelves and use them all to advantage, attach pics and drawings you need to the board and place all the rest on the hooks and shelves. 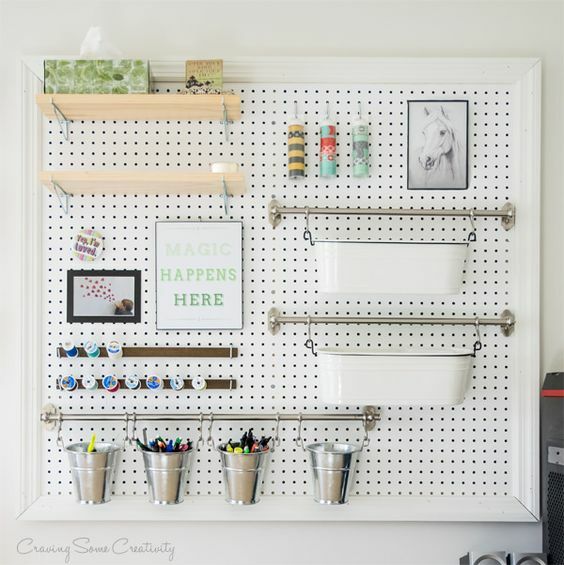 In a nursery there’s nothing better than a pegboard over the diaper changing table, it can hold all your accessories and stuff you need for the baby, and you won’t need any floor space at all, and we all know that nurseries are often small. 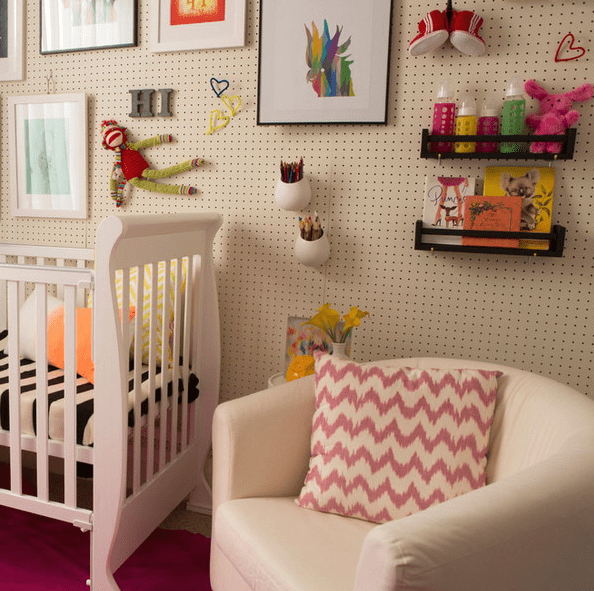 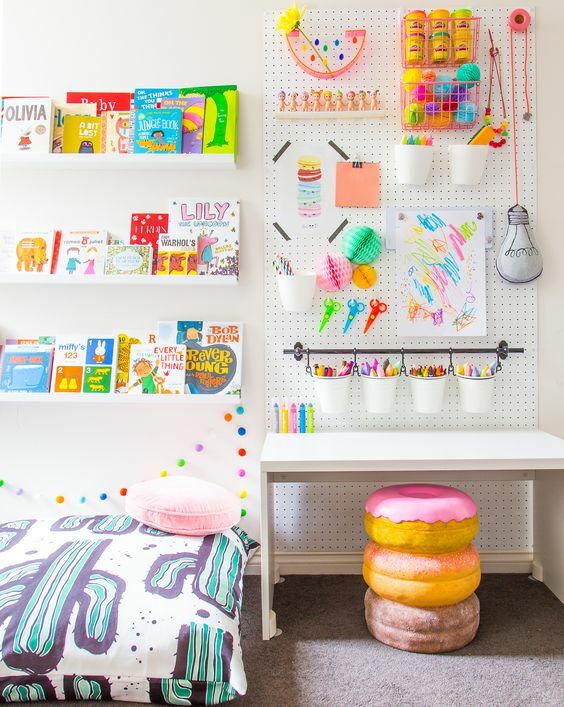 If it’s a kids room, a pegboard is a great idea for displaying kids’ artworks and drawings because all the kids love it. 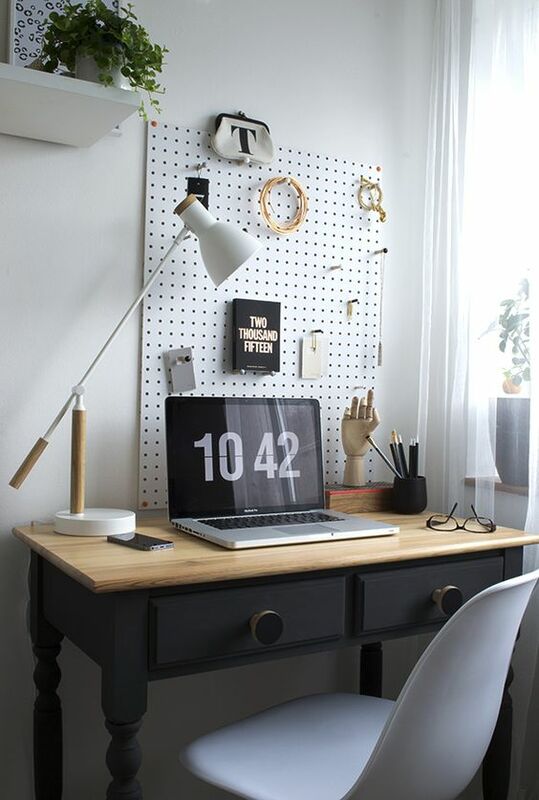 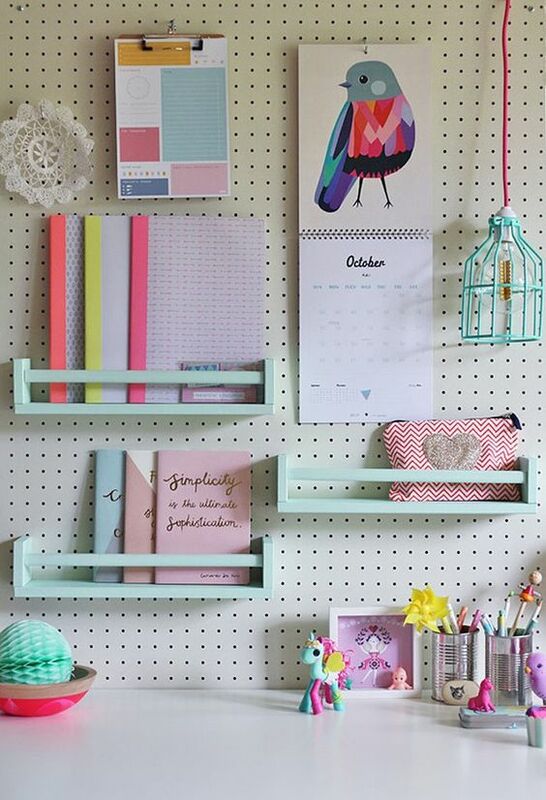 You can also hang a pegboard over the desk to hold all the pens, pencils and other stuff. 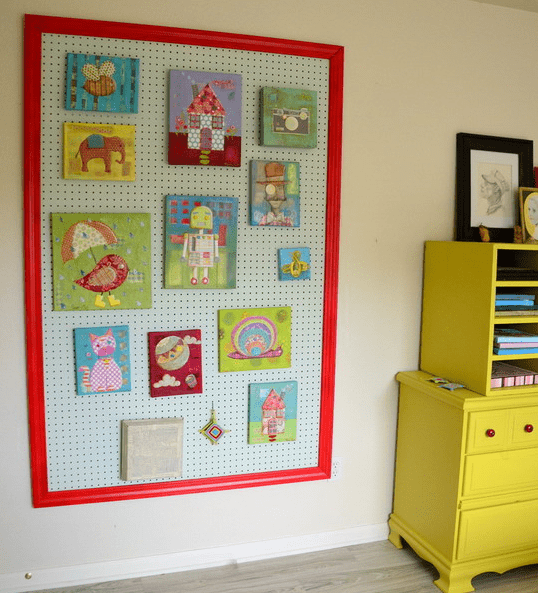 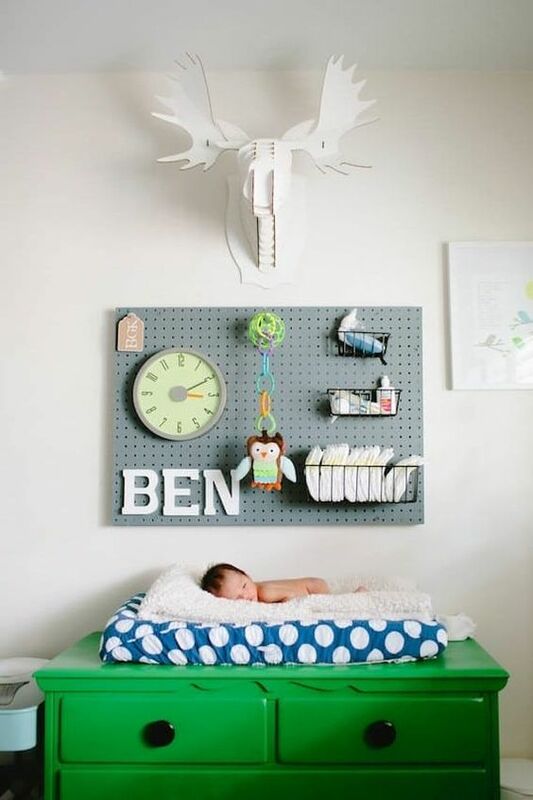 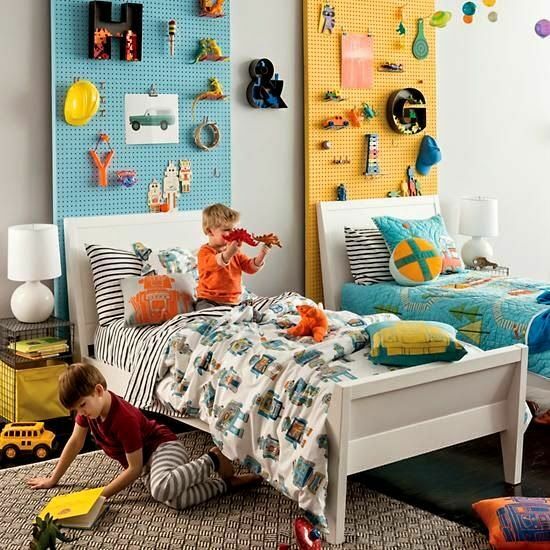 Another idea is to make a pegboard wall next to the bed so your kid could decorate it as he or she likes and maybe store favorite toys there. 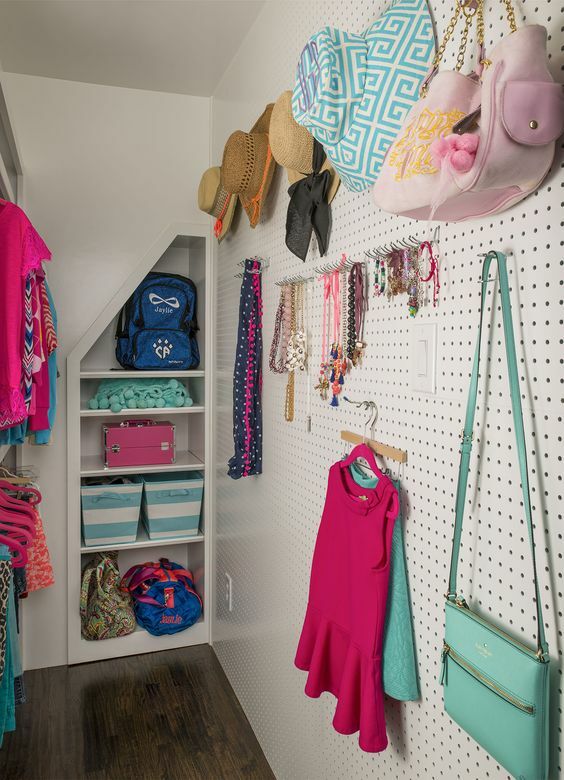 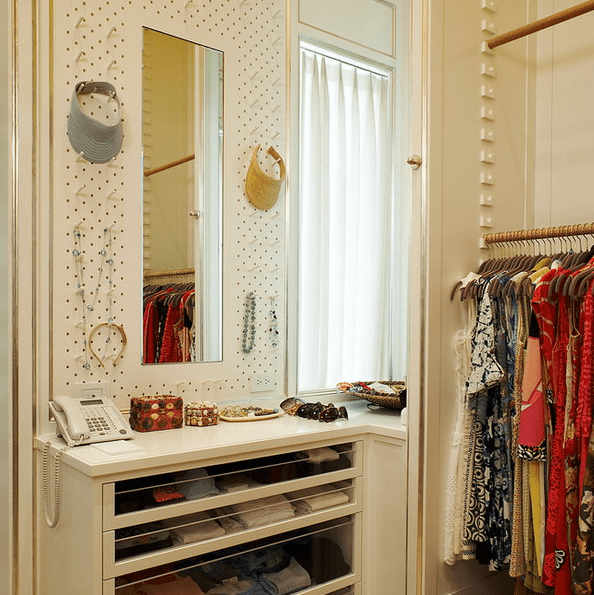 A pegboard is perfect for any closet, whether it’s a small nook or a whole room. 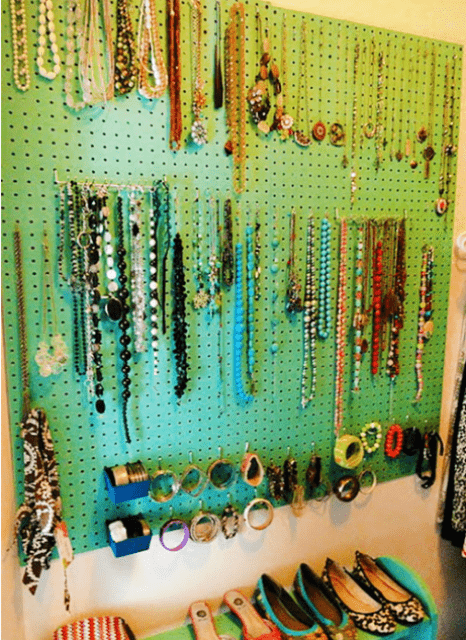 All your accessories and jewelry can be easily stored on a pegboard, on hooks or shelves. 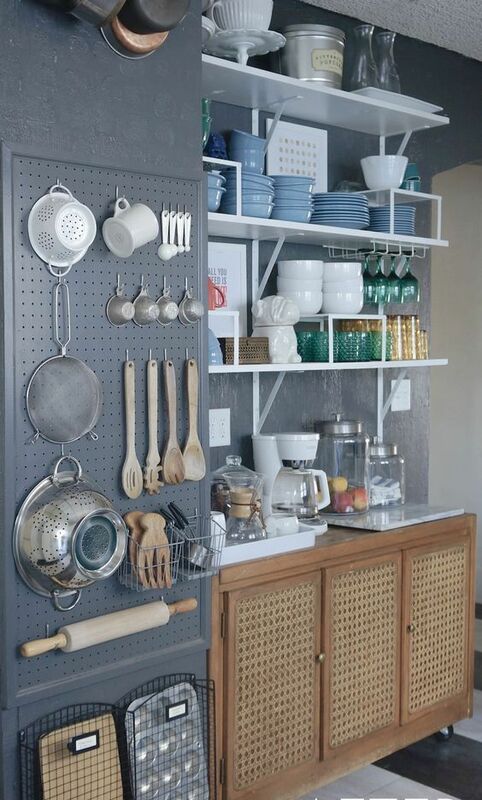 You can even organize some shoe and clothes storage on a pegboard, it’s a very practical solution. 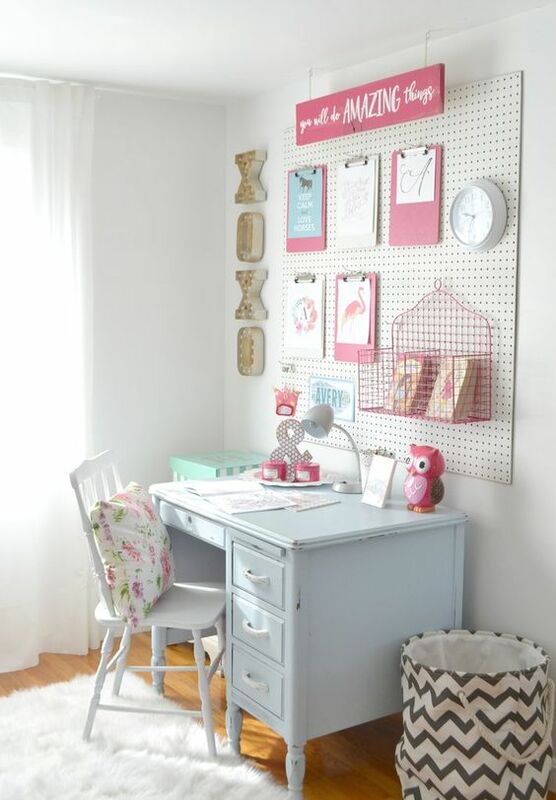 It can be a piece or a whole wall covered with pegboard with hooks and shelves for everything you need.